T&D distribute from stock and provide expert technical support for the Euromold range of Separable Connectors – the European manufactured connectors are manufactured from high quality EPDM rubber and include elbow, straight and tee connectors supplemented by a complete range of 11kV-33kV bushings. 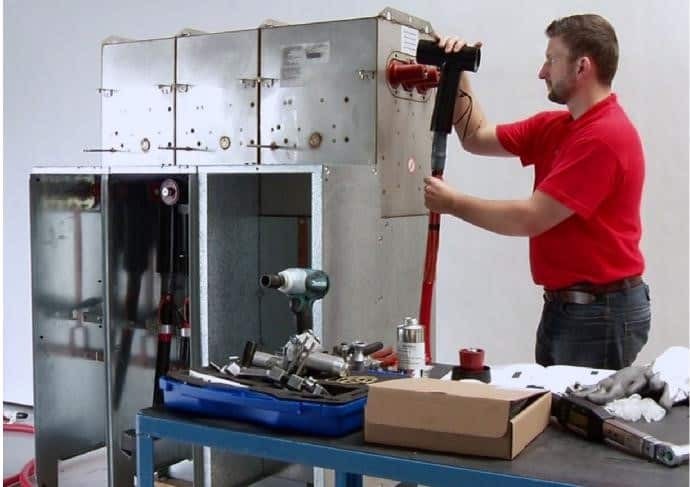 Separable connectors are typically used to terminate cables on power systems and circuits distributing MV-HV electricity at 6.6kV, 11kV, 33kV and 66kV. 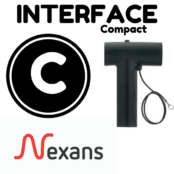 Nexans Euromold are the leading European manufacturer of Medium & High Voltage Cable Connectors & Accessories for MV-HV energy and electricity distribution – providing an underground cable accessory range including premoulded EPDM rubber separable connectors for cables and Euromold epoxy bushings for cable termination into gas insulated electrical equipment transformers and switchgear. Euromold connectors can be “piggy-backed” to allow for multiple stacked cable connections per phase – ATEX certified cable connectors are available to safely terminate and connect MV-HV cables into electrical equipment situated in potentially explosive atmospheres including Zone 1 and Zone hazardous areas. To complement the Euromold Connector range a full supporting porfolio of heat shrink or cold shrink terminations and cable joints suitable for 11kV/12kV to 33kV/42kV are available for MV-HV power cables with XLPE, EPR (polymeric) type insulation, single or 3 core – 11kV terminations suitable for 3 core and single core cables including Triplex formation are available. 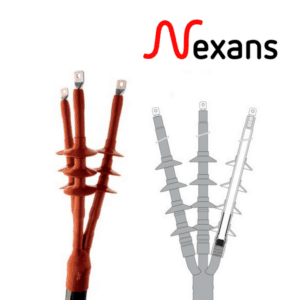 Nexans Euromold also manufacture electrical components for the High Voltage Cable Accessories of the Nexans group – this includes 66kV Joints, Terminations & Connectors. 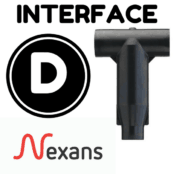 All Nexans Euromold separable connectors are 100% AC withstand and partial discharge tested at Nexans factory prior to shipment. 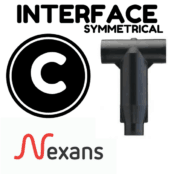 The correct selection and specification of Nexans Euromold connectors is dependent on the cable specification and the equipment bushing type – contact us for discuss your requirement and we can support the specification and supply of all types of medium/high voltage cable accessories. 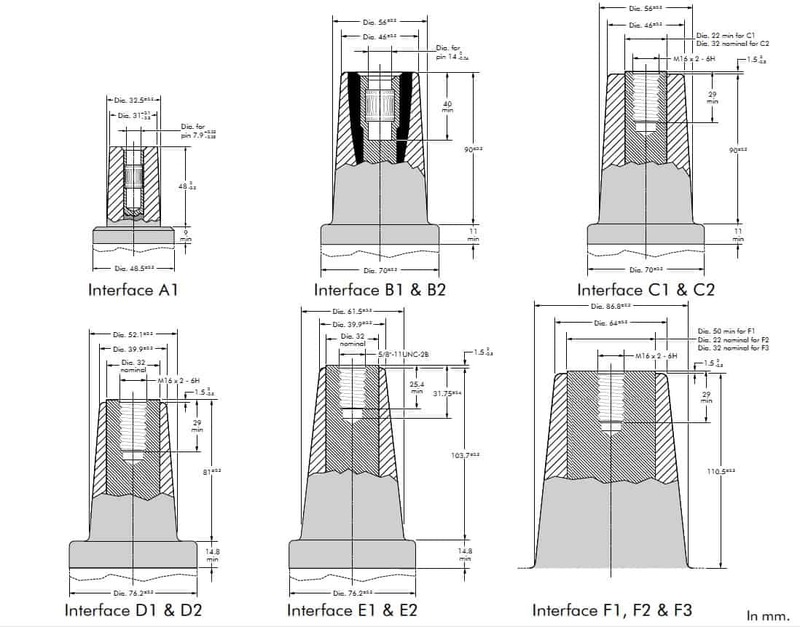 There are 6 bushing interfaces common to MV-HV Electrical Equipment (A, B, C, D, E or F). Compact: fully screened connectors to be installed in close proximity to surrounding MV-HV switchgear steel work and other connectors. Safety: safe to touch and weatherproof. Euromold connectors offer excellent mechanical strength and can be touching if required. 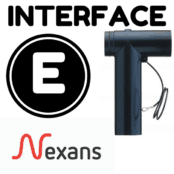 Flexibility: connectors can be disconnected/re-used without moving MV-HV electrical equipment possible without having to re-terminate. Ease Of Installation: Nexans Euromold connectors are suitable for use on all polymeric screened MV cable types up to 42kV. 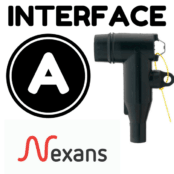 All Nexans Connectors and products meet International Standards like CENELEC HD 629.1, CENELEC EN 50180, IEC 60137, IEC 60502- 4 or conforming to country specifications. Official certificates including CESI, KEMA and ATEX (Hazardous Areas & Potentially Explosive Atmospheres) are available. 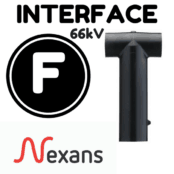 Thorne & Derrick distribute Nexans Euromold Connectors for MV-HV cable termination of 11kV, 33kV and 66kV polymeric insulated cables (XLPE EPR) into gas insulated switchgear – we provide competitive prices for Nexans Euromold connectors from extensive stocks to UK and international destinations. ➡ Should you require customer service or technical support please contact us – view the full range of Nexans Euromold Connectors below.